BATTLE FOR WORLD / SPUTNIK NEWS – November 29, 2018: The article highlights that the decision by US Secretary of State Mike Pompeo to give former Wall Street Journal editorial writer Mary Kissel a senior position at the department, despite her previous clashes with US President Donald Trump, shows that neoconservatives are moving in on the administration, investigative reporter Dave Lindorff told Sputnik. Listen to “Prominent Trump critic Mary Kissel gets high-level State Department job, militarism continues to run amok” on Spreaker. BATTLE FOR WORLD | February 20, 2019: The second week in December 2018, before 12th, the Bush family in the circle of the One World Order, after the death of George W. H. Bush on November 30, 2018, called a meeting regarding their continued support to bring about a One World Order – globalization. Members of the Bush family with other like-minded elites are now realizing that their input, contributing to worldwide chaos and destruction to bring about a fascist world dictatorship order with the United States at the center is now in a phase of breakdown due to the challenge of other emerging power centers – namely Russia and China. The Bush family was faced with the decision of continuing the fight, which would lead to the ouster of Trump…and pushing on with the vision of world dictatorship using the Republicans and Democrats, to which they chance facing war crimes, of the destruction of people and planet, because they have been outgunned. Realizing this the Bush faction has pulled back and have come to an agreement, privately, with President Trump. The Rockefeller family withdrew long ago from the quest for world dictatorship. And so you now have the Rothschild family thinking it over; but the Zionist faction in the United States is still adamant to fulfill world dictatorship along with their Bolshevik ally. Their current adventure…in South America with Venezuela using Trump. BATTLE FOR WORLD / TRUNEWS | February 20, 2019: The video highlights Rick Wiles having a private conversation with someone unnamed, who gave him some insight. Rick Wiles: I was given an educational seminar on what’s going on. Let me just put it like this … so I’ve been talking here that the old New World Order is dying and that has been a theme of ours here (at TruNews). And when I say the old New World Order I am talking about the one that most of us has been talking about for decades, which was David Rockefeller, Kissinger, the Bush family, etc. and we are all saying that they are all dying off and the ones that are left only have one foot in the grave. They did not accomplish their big dream – they had gotten close several times but they did not get it done and now it’s falling apart. Their’s a populist revolt around the world, the whole thing is collapsing, nothing is going their way anymore and they are old, they are in their nineties or hundred, and they are dying off. And it did not work – (i.e. their vision to bring about worldwide dictatorship). So that is what we have been seeing. What we are also seeing, there’s a new New World Order coming … someone else is going to pick up the mantle. Now, the question is, can anybody here in America, in the West, can they pick up the pieces of this old dying New World Order. And what we have been watching for the past two years, what we are calling the Deep State, that is in this country, the political network of the (old) New World Order that has been fighting Donald Trump, because he was not supposed to be elected president; it was supposed to have been Jeb Bush, not Hillary Clinton. Jeb Bush was supposed to have won, but he got knocked out by Donald Trump, so then they had to make a decision, and Hillary was the next best thing they had going for them. But the ruling elites really don’t care for the Clintons. OK, there are factions inside this thing; competing factions; it is not monolithic. Remember George W. H. Bush funeral? Remember the piece of paper, the envelope, I (Rick Wiles) am not going to tell you yet what I have been told about what was in the envelope. The Trump faction and the Bush faction had been at war for two years, OK. Number forty-one, George H. W. Bush was running the New World Order. He was the man in charge. He was calling the shots, right up to his death. He was the godfather. Then the family: the boys, the sons, did not want it after the father died. They did not want that mantle on them to continue the throne. There was an ultimatum that came at the funeral, directly after the funeral, and a truce was signed. After that you began to hear the phase from the Trump people about a Liberal World Order. There was a truce, there was an agreement that the Trump faction would not prosecute the Bush faction, along with the Clintons. What was on that paper has to do with the truce, stayed tuned, said Rick Wiles. Attorney General William Barr is the Bush family emissary to enforce the truce. This is why Robert Mueller is packing up and leaving. (The Bush dogs [the flunkies] are being called off.) Who’s Robert Mueller, who did he worked for, the Bush faction. It’s all over. The whole resist Trump campaign, take Trump down operation of the Deep State, it’s over. Trump and the New World Order have reached a settlement, and understanding that they (the Trump faction) would not take down key members of it, in return for the hounds of hell being called off. Robert Mueller was told to pack up and go home, to not even issue a report. Andrew McCabe et al … those are the flunkies in the operation who are realizing that they are getting burned and used. The war against Mr. Trump is over from the Deep State in the Bush Republican side of the Deep State. (The truce brings into force a big cover up.) Donald Trump is not going to be removed. And there’s not going to be a Republican challenge against him in 2020 (election). (Flunkies:) Adam Schiff is still going to be out there; Nancy Pelosi is still going to be blowing smoke; they are going to continue…its all for show. BATTLE FOR WORLD / PRESS OF ATLANTIC CITY | February 11, 2019: The article highlights that last week (the first week in February), no fewer than six committees of the House of Representatives were investigating potential grounds for impeaching President Donald Trump. The committees do not use the word “impeachment,” because they were instructed by the House Speaker Nancy Pelosi to describe their work in narrower, less inflammatory terms. 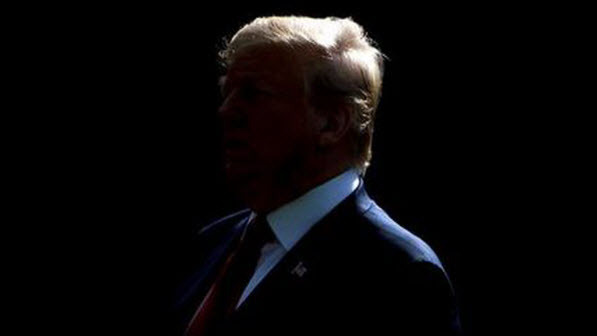 But the question that is always close is: Does Trump’s record of norm-busting, rule-bending and apparent law-breaking, from conflicts of interest to murky connections with foreign governments, justify removing him from office? 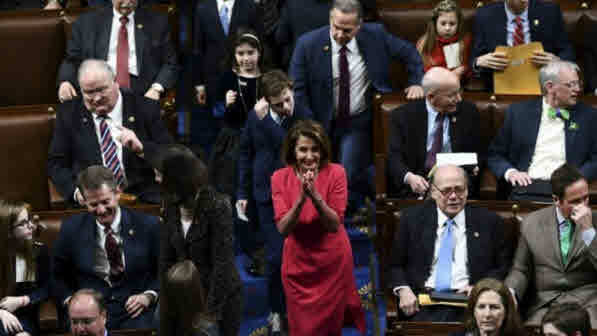 The beginning phase is termed “pre-impeachment” and Pelosi and her committee chairs, all Democrats, are doing what they need to do to make impeaching Trump possible. 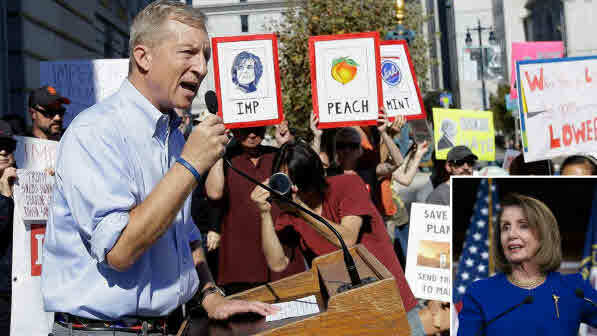 Some Democrats pushing for impeachment are more impatient, and California billionaire Tom Steyer has vowed to spend money in next year’s (2020) Democratic primaries to punish members of Congress, including committee chairs, who don’t move as quickly as he’d like. But such a move is short-sighted, and an impeachment resolution now would surely backfire — is the opinion. That it would create a zero-sum fight between the two tribes of American politics — the DINO and the RINO. It would make winning Republican support almost impossible — and could help re-elect Trump. BATTLE FOR WORLD / RT AMERICA | February 6, 2019: The video highlights that it’s clear National Security Advisor John Bolton and U.S. Secretary of State Mike Pompeo are determining Washington’s moves in places the United States has occupied, including Syria, Iraq and Afghanistan, etc. And former Pentagon official Michael Maloof comments. BATTLE FOR WORLD / RT CALEB MAUPIN – January 22, 2019: The video highlights, asking the question: Is the FBI coordinating with the US media against President Trump? BATTLE FOR WORLD / RT – January 20, 2019: The video highlights that critics of Donald Trump hit the president with a barrage of new misconduct claims this week. They ranged from obstructing justice, to holding the US hostage over his controversial plan for a $5bn border wall. BATTLE FOR WORLD / CNBC – January 18, 2019: The article highlights that President Donald Trump said he will make a “major” announcement on Saturday (January 19) about the border and the ongoing government shutdown. BATTLE FOR WORLD / THE ATLANTIC – January 18, 2019: The article highlights that the longest government shutdown in American history lurches toward its fifth week and a grim but growing consensus has begun to emerge on Capitol Hill: According to some, a morbid idea has been repeatedly expressed, that for a deal to shake loose in this environment, it may require a failure of government so dramatic, so shocking, as to galvanize public outrage and force the two parties back to the negotiating table. Missile Defense Shield in Alaska Explained. And who’s behind it? He also discusses the stationing of Ground Based Interceptors in Alaska to shield American cities from ballistic attacks and points out that their effectiveness would be limited during an actual strike on the US. BATTLE FOR WORLD / RT – January 17, 2018: The article highlights that President Donald Trump’s promise to be “far worse than anybody, if need be” by developing space weapon tech “faster than the rest of the world” will spark a new arms race without ensuring safety for the United States, says expert. 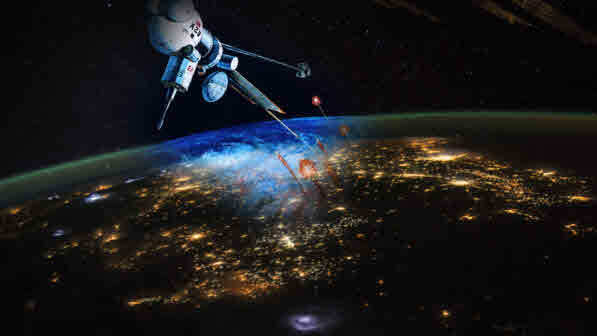 “The militarization of space is inevitable, and the United States will quit any relevant non-proliferation treaty that stands in the way,” said Mikhail Khodarenok, military expert and retired colonel who served in Russian missile defense forces. “There are no missile defense systems capable of firing in space right now, but there is reason to believe they will appear imminently. Their role will not just be to provide missile defense, but also to offer cover to America’s orbital fleet,” said Trump. BATTLE FOR WORLD / TASS – January 16, 2019: The article highlights that Russian Foreign Minister Sergey Lavrov has declined to comment on talks between Russian President Vladimir Putin and his US counterpart Donald Trump, stressing that efforts by the US Congress to prevent the White House occupant from pursuing his foreign policy were illegitimate. Lavrov noted that the US Constitution gives the president the right to determine and pursue foreign policy. “We do know that this right has been coming under attack from the Congress. The issue is covered extensively. However, this does not make these attacks constitutional, and it does not make them less illegal either. 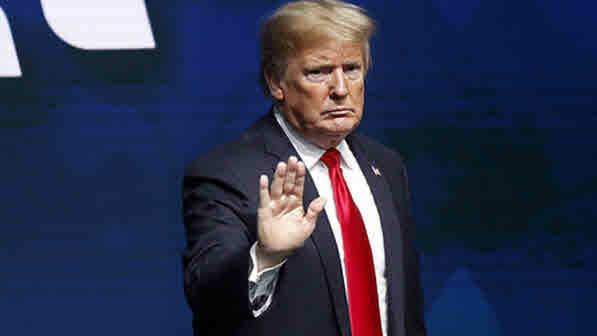 BATTLE FOR WORLD / TASS – January 16, 2019: The article highlights that the impeachment threat shows no signs of dying down and it is likely to be launched, Dr. Edward Lozansky, President of the American University in Moscow, told Izvestia (the Russian newspaper). “Democrats are well aware of the fact that they will not have enough votes. However, their principal objective is tarnishing Trump’s image with the help of the obedient media. The hunting season for the president’s entourage will now open in order to find any compromising evidence, even fake proof, to ‘stoke the fire’ before the imminent launch of the impeachment process. Judging by the intensity of emotions, there is no chance of a compromise on the horizon,” said Lozansky. BATTLE FOR WORLD / RT – January 17, 2018: The article highlights that since the election of Trump in 2016, powerful elements in the US political and media establishment have been running a non-stop campaign to remove Trump from the White House. And the relentless quest has only intensified over the many months. Fronting the media effort to throw out Trump are the New York Times and Washington Post, where both have been prominent purveyors of the “Russiagate” narrative over the past two years, claiming that Republican candidate colluded with Russian state intelligence, or at least was a beneficiary of alleged Russian interference, to win the presidency against Democratic rival Hillary Clinton – was the favorite projected to win. The article asserts, what’s going on here is a staggering abuse of power by the US’ top internal state intelligence agency to fatally undermine a sitting president based on the flimsiest of pretexts. The nation’s most prominent news media outlets – supposedly are the defenders of democracy – are complacently giving their assent, indeed encouragement, to this abuse of power. The absence of “sane minds” seems to have prompted the US media to intensify their efforts nonstop to delegitimize Trump’s presidency. BATTLE FOR WORLD / RT – January 12, 2019: The video highlights RT’s host Rick Sanchez reporting on the combination of big media, political establishments, and military and corporate interests whose power exceeds that of the President. He discusses this “deep state” with former congressman Dr. Ron Paul. Then RT America correspondent Michele Greenstein joins to explain how these interests undermine democratic governments for the sake of profit. BATTLE FOR WORLD / RT AMERICA – January 9, 2019: The video highlights host Rick Sanchez reports on Turkish President Recep Tayyip Erdogan’s rebuke of John Bolton’s heavy-handed criticism in Israel of Turkey’s policy toward Kurdish People’s Protection Units (YPG) in Syria, whom Erdogan regards as terrorists. BATTLE FOR WORLD / RT AMERICA – January 9, 2019: The video highlights RT correspondent Michele Greenstein as she joins to discuss the importance of Turkey to Europe’s energy needs and what it adds to Turkey’s foreign policy leverage. BATTLE FOR WORLD / RT – January 8, 2019: The video highlights that National security adviser John Bolton has publicly overruled President Trump’s declaration of victory in Syria and planned pullout of US troops. He did so apparently at the behest of Israeli Prime Minister Benjamin Netanyahu, offering Israel security guarantees as a condition of the troop withdrawal. Host Rick Sanchez explains. Then Medea Benjamin of Code Pink joins to comment. Then former naval intelligence officer and economist John Jordan shares his expertise. 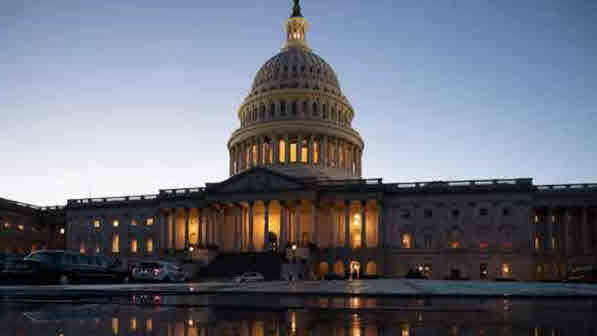 BATTLE FOR WORLD / RT AMERICA – January 7, 2019: The article highlights that with the start of the 2019 legislative session, the hope was that the US Senate would prioritize ending the two-week government shutdown. But, instead, the Senate’s first bill of the year reportedly aims to protect Israel from boycotts. The Intercept reported that the first piece of legislation to be rolled out by the 2019 GOP-controlled Senate will give the US government the authority to cut ties with companies that choose to boycott Israel. The not-very-America-first decree is part of a series of foreign policy-related measures which will make up S.1 – the designation given to the symbolically important first bill of the session. BATTLE FOR WORLD / RT – January 8, 2018: The video highlights that following President Trump’s surprise announcement of the imminent withdrawal of US troops from Syria, the US bombing campaign in eastern Syria has only intensified. Former Pentagon official Michael Maloof joins News.Views. Hughes to discuss the latest developments in the Syria conflict and the deep contrasts between Donald Trump’s nominal foreign policy and the conduct of his administration. BATTLE FOR WORLD / SPUTNIK NEWS – January 3, 2018: The article highlights that with the Democratic Party winning a majority in the US House of Representatives in the 2018 midterm elections, party leaders have promised to press the Russiagate investigation further than the Republicans had before. One journalist told Sputnik Wednesday (January 2) the Democrats’ real goal was to try and govern from the Capitol. Radio Sputnik’s Loud and Clear spoke with Daniel Lazare, a journalist and author of three books, regarding what we can expect from Special Counsel Robert Mueller’s investigation in 2019, its third year of operation. Listen to “As new Congress takes office, what’s next for Russiagate campaign?” on Spreaker. BATTLE FOR WORLD / SPUTNIK NEWS – December 19, 2018: The article highlights that the US is preparing to withdraw troops from Syria – US President Donald Trump announced on Twitter Wednesday (December 19). And Pentagon officials and the White House spokeswoman Sarah Sanders later confirmed the plan. The number of US troops withdrawn is unclear: The New York Times cited unnamed officials saying that a “full withdrawal” is imminent, while the Wall Street Journal reported that the withdrawal will be from the northeastern region of Syria. Listen to “U.S. reportedly pulling its troops from northeastern Syria” on Spreaker. BATTLE FOR WORLD / SPUTNIK NEWS – December 29, 2018: The article highlights that US President Donald Trump is considering banning American companies from using telecommunication equipment made by China’s Huawei manufacturer. Sputnik discussed the matter and related themes with an expert. Reuters reports that Trump’s order would direct the Commerce Department to block American companies from buying equipment from foreign telecommunication makers that pose national security risks. The news comes as British Defence Secretary Gavin Williamson expressed concerns over the involvement of Huawei in the UK’s 5G network. (BattleForWorld: According to the news media, 5G technology is dangerous to human health and sees the need to inform the public about this concern. But is there another motive behind the anti-5G news? Is it already a done deal that China will be the leader in 5G technology? If so, the West is not happy, since China is moving away from the globalists, and so western media is pulling out all the stop-tactics to damage China’s pending leadership in 5G. BATTLE FOR WORLD / SPUTNIK NEWS – December 7, 2018: The article highlights that the Chinese Foreign Ministry demanded Thursday (December 6) that Canada release Huawei Technologies Chief Financial Officer Meng Wanzhou who was arrested at the behest of the United States on suspicion of violating anti-Iran sanctions. “I knew in advance. This is something that we get from the Justice Department. And these kinds of things happen with some frequency. 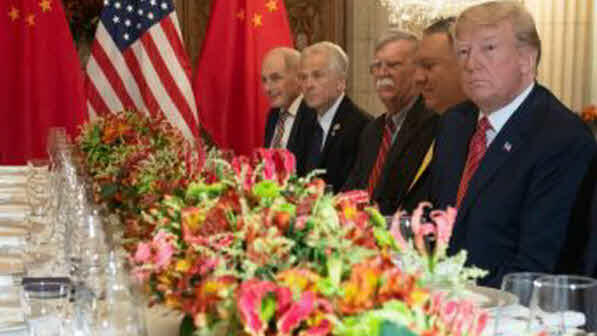 We certainly don’t inform the president on every one of them”, Bolton said. BATTLE FOR WORLD / RT – December 12, 2018: The video highlights with history Professor Gerald Horne joining Rick Sanchez to discuss the arrest of Huawei CFO Meng Wanzhou in Canada and the retaliatory measures taken in China. 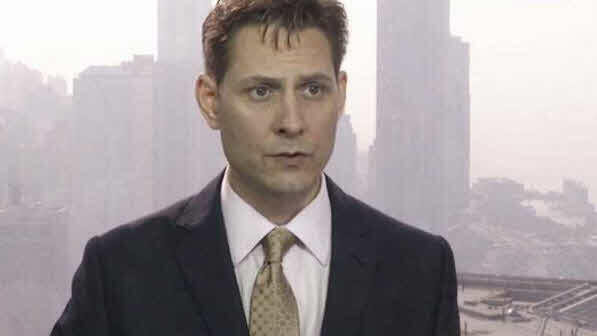 BATTLE FOR WORLD / SBS NEWS – December 12, 2018: The article highlights that China has detained a former Canadian diplomat, Michael Kovrig, in Beijing in apparent retaliation for the jailing of a top Chinese executive at the request of the United States, escalating a legal and diplomatic wrangle among the three countries. Relations were shaken by Canada’s arrest of Meng Wanzhou, chief financial officer of Chinese telecommunications giant Huawei and daughter of its founder. 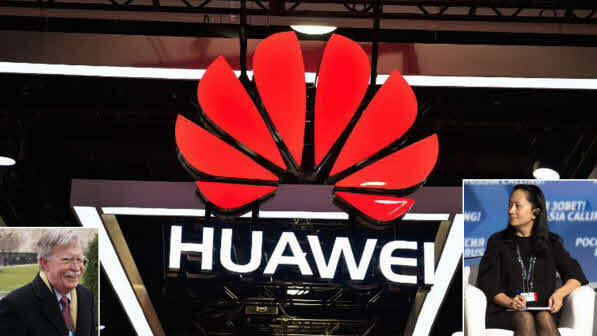 The US accuses Huawei of violating American economic sanctions against Iran. BATTLE FOR WORLD / CNBC – December 10, 2018: The article highlights that the Trump administration – the U.S. government assertion that for decades China’s top executives and government officials have been colluding on a range of cybercrimes and sanctions violations. And that now, the U.S. government has its first tangible crack at one of those corporations, Huawei, after years of making these types of claims. The stakes couldn’t be higher for the Justice Department to prove them. (BattleForWorld: According to Benjamin Fulford weekly news update December 10, 2018: His sources said that the arrest of the Huawei CFO Meng Wanzhou is linked to investigations to bring down Hillary and Bill Clinton for treasonous acts done during the 1990s involving Chinese companies and technology transfer. BATTLE FOR WORLD / CNBC – December 10, 2018: The article highlights a Chinese court ordered a ban on most iPhone sales in the country as part of two preliminary injunctions. After Qualcomm sought the injunctions, alleging Apple violated two of its patents it holds on features that allow users to reformat the size and appearance of photos and manage applications on a touch screen when navigating through phone apps. BATTLE FOR WORLD / SPUTNIK NEWS – December 7, 2018: The article highlights US National Security Adviser John Bolton said in an interview changes in China’s economic behavior that Washington strives to achieve could simultaneously have a significant effect on the country’s political system. 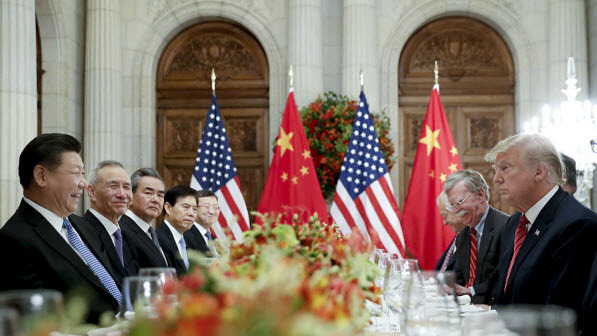 I think what we’re going to do, beginning in the next 90 days, as President Trump and President Xi agreed, is see if we can address some of these structural issues in China’s economy. I think that would have a potentially profound impact on their political structure as well,” Bolton told NPR on Thursday (December 7). BATTLE FOR WORLD / TRUNEWS – December 8, 2018: The video highlights that the United States New Wold Order, the one announced by George W. Bush Sr. has been resurrected, to be continued by the administration of President Trump. TruNews reports: Is there a battle between competing versions of the New World Order? Today on TruNews we discern the meaning of Secretary Pompeo’s speech in Brussels about President Trump establishing a new liberal international order. BATTLE FOR WORLD / THE GATEWAY PUNDIT – November 29, 2018: The article highlights that President Trump and First Lady Melania Trump lit the official White House Christmas Tree on Wednesday (November 28) night during a live broadcast. 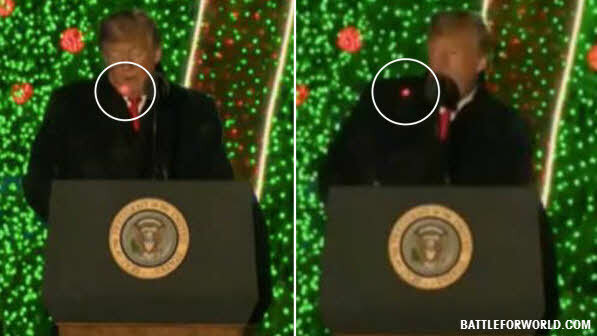 And during the president’s speech red laser dots started darting on his chest and face, began appearing 4:50 minutes into the video. BATTLE FOR WORLD / SPUTNIK NEWS – November 29, 2018: The article highlights that President Donald Trump said on Thursday (November 29) that he has decided to cancel a scheduled meeting with his Russian counterpart Vladimir Putin and the final decision on whether to meet with Russian President Vladimir Putin at the G20 summit in Argentina will be made after he receives a full report on the Kerch Strait incident. Based on the fact that the ships and sailors have not been returned to Ukraine from Russia, I have decided it would be best for all parties concerned to cancel my previously scheduled meeting in Argentina with President Vladimir Putin. I look forward to a meaningful Summit again as soon as this situation is resolved,’ Trump said in a Twitter message. BATTLE FOR WORLD / TASS – December 6, 2018: The article highlights that the United States has not been discussing the possibility of a military response to the recent incident in the Kerch Strait, in which Russia had to detain three Ukrainian warships for violating its border, the US highest-ranking military officer said on Thursday (December 6). There has been no military response… not has been a discussion about a military response,” Joint Chiefs of Staff Chairman Gen. Joseph Dunford told reporters at a conference organized by The Washington Post. “There is not a discussion ongoing right now in the military dimension in response to Sea of Azov. 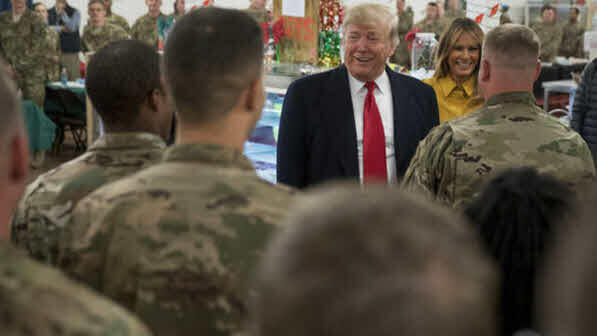 Obviously my job in uniform is to make sure that the President has options available, should he decide to respond with military force,” he added. BATTLE FOR WORLD / RT – November 29, 2018: US President Donald #Trump has cancelled a scheduled meeting with Russian President Vladimir #Putin which was due to take place at the #G20 Summit in Buenos Aires on Saturday (December 1). 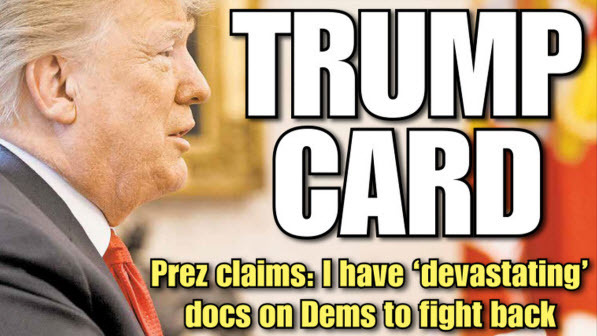 BATTLE FOR WORLD / NEW YORK POST – November 29, 2018: The article highlights that in exclusive interview with The Post, President Trump said Wednesday (November 28) that if House Democrats launched probes into his administration — which he called “presidential harassment” — they’d pay a heavy price. BATTLE FOR WORLD / CBS – November 29, 2018: The article highlights that just hours before Donald Trump reportedly discussed improvements to LaGaurdia Airport with Gov. 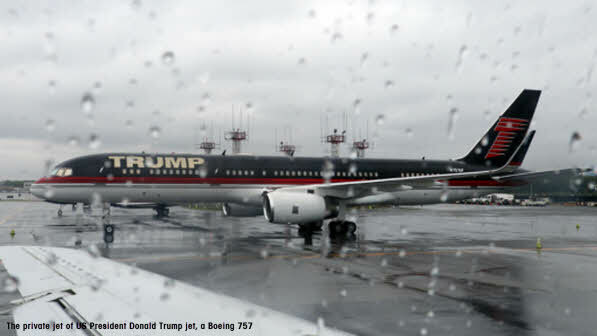 Cuomo on Wednesday (November 28), the president’s private plane was involved in the latest mishap at the aging airport. BATTLE FOR WORLD / MSM – November 30, 2018: The article highlights that at workplaces across the United States, it is routine for Americans’ conversations to turn to President Trump — whether his policies are good, whether he should be impeached, what to think about the “resistance.” Some drink from MAGA mugs; others tape cartoons to their cubicle walls portraying Mr. Trump as a Russian quisling. The reasoning behind the guidance centers on the fact that Mr. Trump is already running for re-election in 2020. 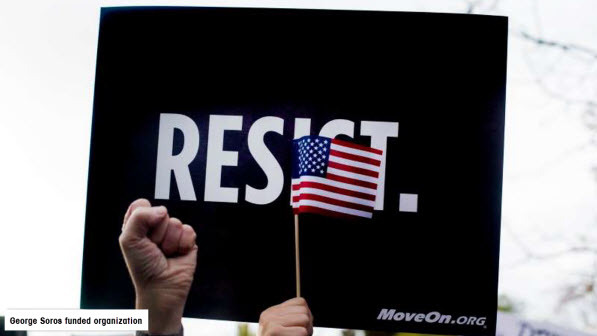 “We understand that the ‘resistance’ and ‘#resist’ originally gained prominence shortly after President Trump’s election in 2016 and generally related to efforts to oppose administration policies,” the guidance said – referring to the guidance document distributed on Wednesday (November 28), the independent agency that enforces the Hatch Act, a law that bars federal employees from taking part in partisan political campaigns at work. 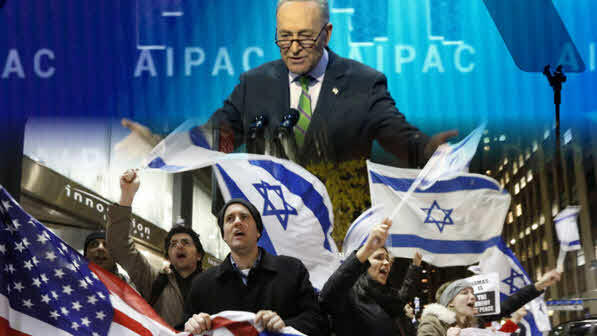 BATTLE FOR WORLD / RT – December 23, 2018: The video highlights that across the United States a movement is emerging, the Pro-Israel Loyalty Oath, where individuals are asked to sign to keep their jobs, etc. BATTLE FOR WORLD / TRU NEWS – December 23, 2018: The video highlights that the word ISIS means Israeli State Intelligence Service. (Timeline 18:57) TruNews: General Mattis, article from the Guardian, London: quoted a member of the British cabinet Middle-East minister Alistair Burt, tweeted: Their are no vacuums in foreign policy, certainly not in the Middle-East, in a fragile region every action is a catalyst for another if allies cannot be relied upon other are sought to take their place. Jim Mattis understood – vital any successor agrees. Host to the panel, did you understand what he said? One of the co-hosts said, yes. There’s a vacuuming, and nations like China, Russia – others are going to fill the void that are left in this week. Host continues: He’s saying that Great Britain is going to search for another partner. That’s what he’s saying. Co-host: That there’s an alliance there between General Mattis and Great Britain. Host: That the United States and Great Britain – we had this special relationship – that’s what every president says – this special relationship. And that, what he’s saying is that the US and Great Britain since World War 2 have worked together in all these alliances and now the US is walking away, therefore there’s a vacuum and now Great Britain is free to find another dancing partner. We are going to see…nations allied with Russia and China. The US is going to be isolated. There’s a price to pay for getting out of Globalism. There’s a price. There’s an exit free. You want out of the New World Order, there’s an exit fee. You will pay the price. Co-host: He was their guy. Host: He was a much more important and devoted globalist that I think any body recognized. I am talking about the public. Senator Graham: Pulling United States troops out of Afghanistan may lead to a second 9/11. BATTLE FOR WORLD / CNN – December 25, 2018: The article highlights that the US military has been ordered to begin planning to withdraw about half the troops in Afghanistan, a US defense official with direct knowledge of the matter told CNN on Thursday (December 20). The official said planning is underway, and it could take months to withdraw the nearly 7,000 troops. The decision was made Tuesday (December 18), at the same time as President Donald Trump’s decision to withdraw the US military from Syria — moves that precipitated Defense Secretary James Mattis’ resignation announcement on Thursday. BATTLE FOR WORLD / TASS – December 25, 2018: The article highlights, as predicted, that an attack at government offices in Kabul, killing at least 27 people, said Afghanistan’s Ministry of Interior Affairs said on Monday (December 24). The majority of people killed in the attack by militants are civilians, from news reports. 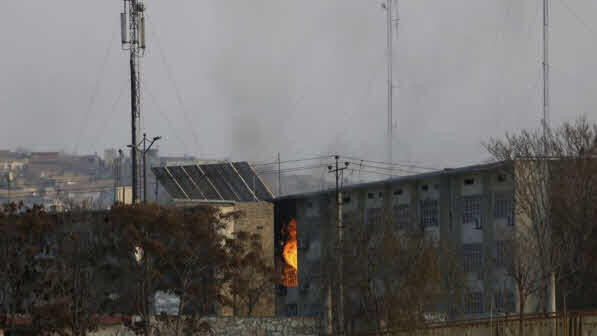 And according to the Tolo News TV channel, a group of armed militants attacked government offices in the Afghan capital and took as hostage employees of the Afghan Ministry of Public Works and the administration dealing with providing assistance to the families of people killed and disabled in the war. After setting off a car bomb near the Ministry of Public Works, militants opened fire, Monday. Two more explosions occurred after that. Taking advantage of the ensuing panic, the attackers broke into the building, said the article. BATTLE FOR WORLD / RT – December 26, 2018: The article highlights that the US President Donald Trump said he’s not planning to take American troops out of Iraq as he made his first visit to an active combat zone. His surprise trip also sparked online frenzy after his plane had been noticed over Europe. “I think a lot of people are going to come around to my way of thinking. It’s time for us to start using our head,” the president said. “In fact we could use this as the base if we wanted to do something in Syria,” he added. BATTLE FOR WORLD / RT – December 27, 2018: The video highlights that Blackwater, the controversial US private security firm, has flagged its intent to resume business, taking out a full-page commercial in the latest edition of Recoil magazine.